As you know by now, I cannot seem to travel enough. Seriously, it’s in my DNA. I have wonderlust. And I’m only able to travel as much and for as long as I do with help from various brands that make products that just enhance my experience and make it easier for me to enjoy the adventure. So, here are five travel brands I’m currently promoting, and why you should, too! I know you’ve heard me feature this app before when I talked about the must-have apps in any traveler’s toolkit, but it needs repeating. This app has gotten me through several trips now, both in the planning phase, and the “saving my life when I can’t seem to find anything fun to do” phase. This app features tips on how to live like a local in any city, and it’s all user generated content. That’s half the fun. The other half comes from creating tips and collections yourself for others to see and experience the world like you. I personally am enjoying creating different tips everywhere I go and am getting “hearts” from people telling me they’re enjoying the place, too! It’s gratifying knowing I made someone’s trip a little more fun! Download Tiplr here! 48 Hours In Miami: A Little Fun in the Sun! Summer is approaching, and it’s getting hot! Welcome to my new series. For the next 6 weeks I’ll be bringing you info on 6 different cities, and how you can make the most out of a summer weekend! I’m a beach bum, so my first stop is Miami, which was my home for about 6 months. I absolutely fell in love with this city, it’s culture, it’s art scene, the food, and the beaches! Let’s take a look at how you should spend 48 hours in Miami! You’re arriving, probably from Miami International Airport. Best option is to grab an Uber and head over to your hotel, The Shelbourne, to check in. Feel free to grab a quick nap, as the night is just getting started. When I lived in Miami, we would get off work around 5pm (sometimes earlier) and have a rest before heading out for the night. So, sleep for about an hour, then get ready, because it’s going down! You’ll love sitting outside in this Tiki style bar and restaurant with a pool in the middle. Bring your suit and jump in if you so desire! You’re going to want to get the Pain Killer. It’s a delicious fruity drink that stays true to it’s word and will definitely remove all pain. This drink comes in three levels, Pain Killer 1, 2, & 3, and corresponds with the number of rum shots. My advice, start with a 3, then work your way down! Remember, the night is young and so are you! This place quickly became my favorite, and you’ll love it, too. Just like the name of the restaurant, they serve burgers and beer! My favorite is the Hotel California, a delicious beef patty topped with sharp cheddar, frilled onions, fried egg, guacamole, jalapeño relish, cilantro sour cream all on a brioche bun. Trust me, it’ll keep you going strong while you party the night away. One of Miami’s best gay bars in town. Now, it’s not a bear bar, but it includes all men. This bar has great music and dancing, and you’ll want to stay all night, but it’s just your first stop. Have a drink or two, do some dancing, and get ready for your next stop. Now the night hits it’s high point. This bar features 7 different areas, each with their own theme, from the British pub to the techno dance club. You’re sure to enjoy delicious cocktails, a great beer list, and decent wine selections. Let’s face it, you partied hard, didn’t you? Don’t go far. Today is dedicated to hanging out at the cabanas by the pool, walking down to the beach for a while, and lounging around. You’ll start with breakfast by the pool and maybe a Mimosa or Bloody Mary. Then it’s ultimate relaxation! Take your pick. There are a dozen restaurants here to choose from, and none of them will disappoint. Whether you want a quiet sit-down spot, or you want something a little more Latin with dancing and lively music, you’ll find it all on this street! This might get a little wild… Head over to Club Boy for hip-hop, Latin, Top 40, and R&B music, plus strippers! YOLO, right?! This place is not to be missed, but get there on time and get a porch seat so you can enjoy the breezes from the ocean not but a block away, as well as the ceiling fans that will keep you cool and comfortable. Try the Crab Cake Eggs Benedict and have a Bloody Mary for me! This world famous shopping stretch is the best place to shop ’til you drop. I personally love the people watching, and there are plenty of places around there to grab a quick ice cream or snack if you get hungry! It’s the perfect way to end your trip to Miami! After 48 hours, you’ll be heading back to the airport a little more tan, with less liver function, and a greater love for Latin food and Latin music! I live with one of my phones in my hand, pretty much at all times. We’re the most connected we’ve ever been, and I’m not ashamed to say I check my email and social media networks before bed and right when I wake up. When I travel, I rely heavily on my devices to get me through my trips. When I was younger I used to play Oregon Trail and more often than not ended up dying of dysentery and losing all of my oxen while trying to cross the river. I would have easily made it to Portland if I had the WebMD app and transit maps! So, as connected as I am, what three apps am I currently obsessed with that are making my travel life so much easier? Check out my list. While it’s still in the early phases, I fully believe this app is going to take off, and I’m glad to be using it now and loading in my travel tips first. The platform is really quite simple: You connect your Instagram account, click on the + and either start a collection if you have several tips from one city/country/region, or load in a single tip. The interface takes you through a few simple steps like writing a title, a short tip about what you experienced, something to do, maybe an item on a menu, or a beer people must try. Then, you create some tags, just like hashtags, and select a category for easy navigation. After this, you select “Publish” and load in your tip. In this age of knowledge sharing it’s quite rewarding knowing you’re helping others find great spots all over the world. It’s fun to give information to fellow travelers, but I really love reading about other people’s experiences around the world. I’m starting to plan a vacation exclusively off of tips I’m seeing in Tiplr. This is great for traveling to a new city, especially if it’s a big city. Open Table allows you to read reviews, view menus, and make reservations within the app for any available restaurants around you. It’s very user friendly, and most of the time you can find a reservation within a few minutes of the current time putting you ahead of the hordes of people waiting outside at that trendy New York hotspot. I obviously love good food, and this app connects it to me fast! What are some of YOUR must have travel apps? Originally written for and published by Bear World Magazine. **An excerpt from my new book, I Know Where I’ve Been: A Year Long Journey of Self-Discovery. PURCHASE A COPY HERE. One of my favorite books is Vagabonding by Rolf Potts. In the book, he talks about traveling for weeks, months, even years at a time and “letting the world, and the adventure, take you where it may.” While I truly believe this is a wonderful concept, and would love to try it someday, I find that planning some of your basics can truly help you enjoy your trip more fully along the way. Additionally, it can save you money, which Potts says to the contrary. My suggestion, go ahead and book your flights. Check out the AirBNBs if you choose to go that route. They tend to book up quickly, so a little advance planning is necessary. Potts’ method is about taking your time and living like a local for long periods of time in the places he’s visited. My method of travel is about seeing and experiencing new things and enjoying each place, but it’s not about living like a local. As such, some planning is involved. My method of travel also involves seeing lots of places over a long period of time, so often you only have a few days to take everything in. Sure, flying is faster, but if you’re traveling within driving distance, go ahead and drive. It makes things so much easier. Some of my most fond memories are of having to work my way through public transit nightmares (see San Francisco chapter…) but driving does make things much easier, especially when it comes to packing. When I drove myself I wasn’t worried about how much I packed and was able to get away with not doing laundry for an entire three week stint. Hotels Tonight – This app has great deals on hotels available at the last minute. I’ve found hotels that are normally $300 a night for a third of the cost. I’ve also stayed in some really sketchy hotels, so you win some, you lose some. Yelp – No, I’m not being paid to advertise for Yelp, and overall I find the company, their brand, and their business plan to be pretty terrible, but the app is good for finding local businesses, especially for restaurants. I’ve eaten at some great (and not so great) local places from the app. As much as it pains me to say it, it’s a must. Transit maps – Before every city, I download the transit apps that show subway and bus routes. While I love Uber and cabs (I’ve always enjoyed being chauffeured around), they can add up quickly and most big cities have at least somewhat decent public transit. Currency Converter – For obvious reasons if you’re traveling abroad. Google Translate – This will save your life, and the photo feature that lets you point to a piece of text, take a photo, and receive translation is a real lifesaver. Spotify, Audible, Pandora, etc – I love listening to music, and generally find it helps make airport walks between gates more fun. Audible audio books turn long drives into fast trips and I’ve learned a lot about some cool topics and people by listening to their autobiographies. Viator – This app puts all the touristy things in one place, with details on how to get tickets, open hours, etc. It’s particularly great when you don’t have an agenda in a city and you have some free time. Open up the app and just see what you can find. Soothe – This app has saved my life, and my back, on several occasions. It’s a masseuse on-demand app that connects you with local masseurs. Carrying around baggage takes a toll on you. Get a quick massage every now and then. Whatsapp, Viber, Skype, etc – Communication through wifi is vital when traveling internationally, though one of the best things I ever did was invest in an international data plan. Still, use these apps to keep in touch with all your out of country friends as most of the world already uses one or more of these. Expensify – Keep track of your spending and upload all your receipts. There are plenty of ways to write off travel on your taxes if they end up being for business, or you conduct business while on the trip. Keep track of everything. Also, this app helps you identify your top spending categories and learn where you’re spending too much, which is essential if you’re budgeting for a long trip. I know this one can be a bit difficult as we all have lives, friends, families, careers, etc that draw from our well of attention, but in order to truly experience different cultures you have to be able to disconnect from the rest of the world and just be in the moment. This takes some time and practice, but I like to start my trips by checking my emails, texts, etc at the airport right when I arrive (this also allows your luggage to get to the claim belt and the line at Passport Control to die down a bit) then put your phone or computer away. Only check in at night while you’re laying in bed at the end of your day. I feel I wouldn’t have had half the experiences of the past two years if I had said no to all the things that were out of my comfort zone. Eat smelt (a whole, bones, skin, guts, and all, fish that’s been deep fried)? Why not! Lean over the side of a building 116 stories in the air? Okay! Get in a sketchy taxi in Colombia? Sure! They’re all stories, and they’re all in this book. Who knows… Maybe I’ll be reading your book about travel experiences someday! Side note: If you ever write a book on travel, please let me know. I want to read it! While I love my friends and family, I spent the bulk of this year traveling alone. There’s something about going to a random city and not knowing anyone. Plus, you get to choose all the restaurants, museums, and attractions you want to see, and you are on your own schedule. If you want to stay in, order food, and watch Netflix one night you can certainly do that. I did. More than once. Trust me, just do it, and have no regrets. Take the double decker hop-on hop-off bus tours. Go to all the touristy places. See all the touristy things. Don’t apologize for this. You have one life. Live it. While I was in San Francisco I took one of those bus tours. It was the best way to spend two days getting around the city and seeing all the different areas of town, and I learned a lot of great stories about the city. 8) Don’t forget to take care of yourself. If you’re traveling for a long period of time, it’s a good idea to start a vitamin regimen before hand if you aren’t already on one. I’m convinced a tourist sneezed on me in New York City and got me incredibly sick. People are gross. Assume no one washes their hands and your food is covered in germs. Drink plenty of water and get your rest. You wont be able to enjoy the world and everything it has to offer if you’re too tired to keep your eyes open. 9) Don’t disturb the locals. I cannot stress this enough: you are a visitor. Do not disturb the locals. If you’re in New York City, don’t stop in the middle of the sidewalk. If you’re in Charleston, be respectful of the quiet little beach town that shuts down at 11pm and don’t want down the streets drunk and screaming. If you’re in Rome, throw your trash away and be more respectful than the Romans. What’s the point in all of this if you don’t enjoy your time traveling. Have as much fun as you can, but do it safely. Be aware of your surroundings and maintain control of yourself, but get out there and live. I recently took a weekend trip to New York City to meet with some clients, catch up with friends, and spend some time in the city that I love so much. It was a very fast trip only putting me in the city for less than 3 days, but a great experience none-the-less. I’ve been a traveler for most of my life. My family would take trips most every summer, venturing to Wyoming for one vacation, another to Maine, and of course the beach. As an adult, my travel has grown more to mean working trips with vacation fit in on that “extra day” where the company or client has already paid your flight and you splurge on extending your hotel. One thing is for sure, in all my travels, I’ve hated going to the airport. I am by no means a small man. I am of average height, but am a bigger guy and sometimes that can be less fun to travel by plane. You always read the blogs and posts about the people complaining about the fat guy sitting next to them. Well, I am that guy. The flight doesn’t normally bother me as much as going through airport security. I already suffer from mild claustrophobia and standing in that tube with my hands in the air while someone looks at my junk on a TV screen doesn’t necessarily make me happy, but I do it because we live in a post-9/11 America, and safety in flying is a big concern. On Sunday, December 7th I was traveling from Newark, NJ back to Nashville, TN and walked into the airport calmly, fully expecting my security stop anxieties to begin any minute. I approached the line with boarding pass and driver’s license in hand and saw that things were quite a bit backed up. Let me stop here for a moment and say that I have never gone through the TSA pre-screening process. I have often thought about it, but never actually done it, but will probably do it soon as travel is starting to pick up. But, it’s important for you to know right now that I’ve never done it. I walked up to the person standing in the front of the line assigning people which pathway to take. The couple standing in front of me had just been informed that one of them could go through the TSA pre-screen line, but the other could not as he did not complete his paperwork and did not have the proper documentation. I walked up to him, he looked at me and said, “Are you traveling alone?” to which I replied, “Yes,” and he pointed for me to go through the lesser of the two lines. I thought I had struck gold. For the first time this trip traveling alone had paid off in a big way. The weirdest part was that I watched my bags go through the scanner with no one watching a screen to see what was inside. After I got through security I opened my bag to get out my wallet and realized I had accidentally smuggled in a bottle of water. My fault for accidentally bringing it into the airport? Or the TSA’s fault for not catching what could have been a bottle full of lighter fluid? You decide. So, that’s my story of how I didn’t go through Airport Security, right under their noses, and smuggles in a bottle of water. I expect the FBI to arrive to arrest me at any minute. It’s a fact that people identify with brands they like. McDonalds has capitalized on this concept. Those golden arches are placed as high as regional height limits will allow them to go in the hopes that people see and recognize them and pull in for a burger. No one can dispute that they’ve made their billions off of being recognizable. The same principle has to apply to small and medium sized businesses. A lot of people are intimidated by the successes of large companies, but they forget that they started out small and built up from there. They did that by becoming recognizable and building a positive brand identity. I couldn’t believe what I was hearing. First of all, she said, ”websites” meaning more than one. She had three different websites, each with the same content, but three different logos and looks. She was building brand confusion rather than brand identity. Her customers weren’t able to find her (or trust her) because everywhere they looked they found something different. To help build a better brand, follow these five tips and tricks to ensure your customers are able to find you and indentify with you rather than get lost in the jungle of companies offering the same services. #1 – Pick a design and stick with it. Let’s take the person I mentioned above as an example. She’s creating logo after logo and three different websites for her business. You can bet that her customers are getting confused about what her main focus is when they find five different designs for her company. More importantly, they’re probably doubting her abilities as a marketer. When you pick a design and stick to it, your customers get consistency. She mentioned using a different logo for Facebook and a different logo for Twitter. Once people get a visual idea of your company they’re not going to focus so much on the words in your name. They’re going to be looking for those golden arches, so to speak. Do yourself a favor and pick one logo for all of your social media platforms. It’s going to pay off in the end. A major mistake people make is over-posting materials, not posting enough materials, or posting conflicting materials. This is horrible for establishing a brand identity. If you say one thing on Facebook, but something completely different on your blog, you’re hurting your chances of becoming a trusted source of information. Consistency is key. Another way to create confusion is to over or under-post on social media. It’s estimated that 62% of consumers check out your social media presence before making a purchase. If you aren’t posting to your social media sites daily, you aren’t posting enough. Going weeks without posting simply is not an option. If you aren’t already spending a fair amount of your day on social media sites, it’s time to start. However, this being 2013, and with more than 1.06 billion people logging in to Facebook every month, chances are you’re familiar with the site. Still, it’s time to use your business page to establish a personality for your company. Make it well-known the personality of your business. If you’re going for a fun vibe, post memes, jokes, and fun material to make your customers laugh. If you’re leaning more toward serious business, be sure to post scholarly, trustworthy material. Most importantly, make sure your posts are appropriate for business. Establish trust with your clients. Everything you do is in the public eye, whether you know it or not. If you aren’t working to create a positive brand identity, all you’re doing is creating brand confusion. There’s still time to get on the right path! So, I’ve been doing a lot of writing lately (other than the writing that I have to do for work and the book I have coming out in February) and for the first time in a long time, I think I’m going to push a fictional novel through the pipeline. Maybe I can “accidentally” send a draft to my publisher instead of the files for my other books. I’ve never been much of a novelist, but this one seems to be flowing through quite easily. I’ve been noticing that I fall into a certain pattern with how I actually write. I’m curious to see how things turn out, and this is probably the first project in a few years that I’ve felt very strongly about because of the message I’m trying to get across. Essentially, the story will be quite controversial. I’m writing about the after effects of a traumatic event, but I’m focusing on people that don’t exactly cope well. It’s sort of a story based on my experiences with people I’ve met mixed with some of the conspiracy theories I just can’t resist reading about. While I am by no means a conspiracy theorist, I still find it fascinating what people will say (and post on the internet) and find that there is more than enough information out there for anyone to spin anyway they want. Back to the point of this post, my writing process has changed greatly in the last few years. It’s gone from forcing myself to sit in front of the computer looking at the blinking cursor and wondering when something was going to hit me that was worthy of being written (especially when I’d write poetry or short stories) to more of a fluid process. I find that now I have to peel myself away from the computer because the story is flowing out of me, sometimes to0 quickly my fingers cant keep up with my thoughts. People ask me all the time if I know what my ending will be to this current novel. There are a core group of friends that I trust enough to give the entire story to, and I always stop at a particular point, but the fact is that I don’t know. I know my characters (there are 12 characters that play a key role in the advancing of the present day plot, and 7 characters that play a key role in advancing the past plot) and I know what they want to say. They want to say everything I want to say. Everything that I would say if I was in their situation. Everything that I would want to say, and everything I couldn’t say. The fact of the matter is that I have no clue how this story is going to end. I know the point of where the story will get close to ending, and I know ultimately the message I want to get across, but I feel it will happen when it happens. It isn’t something I’m going to be able to force. It’s something that is going to have to happen naturally. I’m hoping to post a short section of the book on here sometime in the coming weeks. 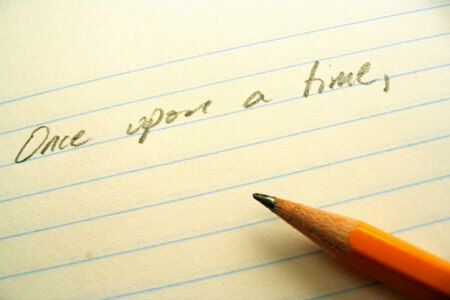 Until then, I’m interested to know about the processes other authors use when writing. Do you find that you have to force yourself to sit down and do everything at once? Do you know the outcome before you start? How do you get to know, and develop, your characters? I’d love to hear from you, so sound off below. I supposed today I’m in a movie mood. Earlier, I posted a status on Facebook saying, “I’m not crazy, I’ve just been in a very bad mood for 40 years.” If you haven’t already figured it out, that’s a famous quote from Steel Magnolias, the 1989 adaptation of Robert Harling’s play of the same name. The Oscars (my favorite day of the year, besides my birthday) are coming up quickly, and soon my journey to watch all the nominated films will begin, and no one will hear from me for a week. 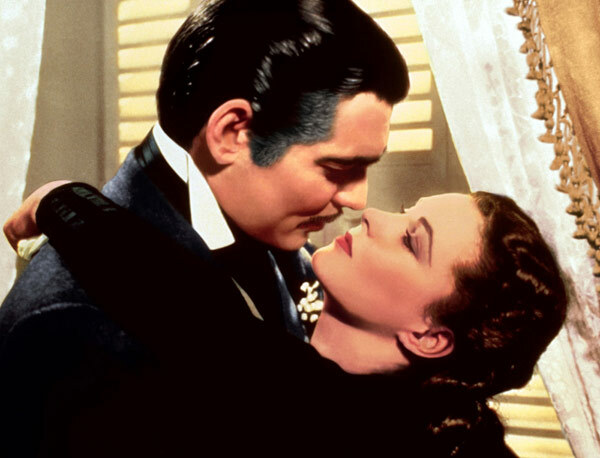 Before that, let’s reminisce about all the great movies of the past. So, for today’s blog post I figured I’d stick with my mood and post the 10 Best Movie Quotes of All Time, in my opinion. In probably one of my favorite movies, Jerry has a total mental breakdown when he’s trying to save face with a client and get him to leave the big flashy sports agency the client is signed with and instead join Jerry in his new venture. It’s Jerry’s commitment to show him the money that convinces Rod to take the leap. 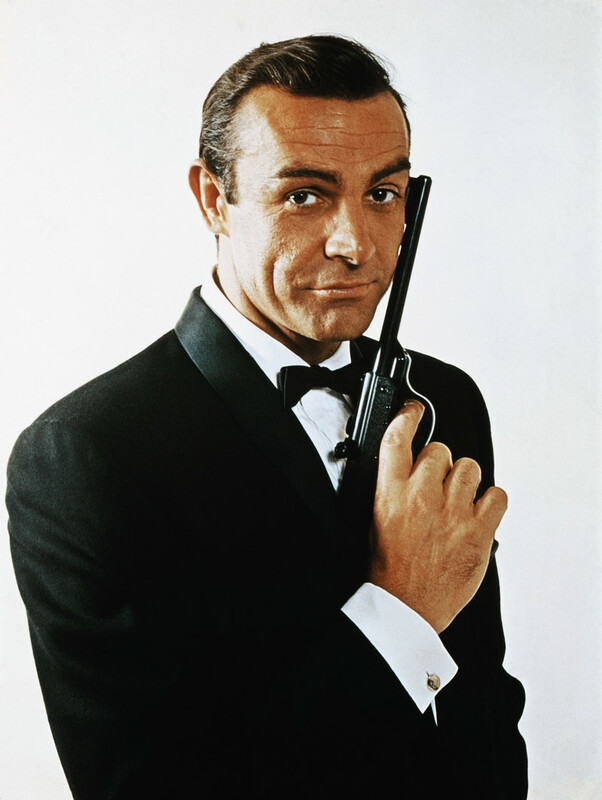 If you’re like me, you grew up watching James Bond, probably with your dad on a Saturday when it played all day on AMC. There was something about Bond and the way he said his name that was just so cool and iconic. That probably is why he’s the second most successful film franchise of all time, trailing behind Harry Potter. 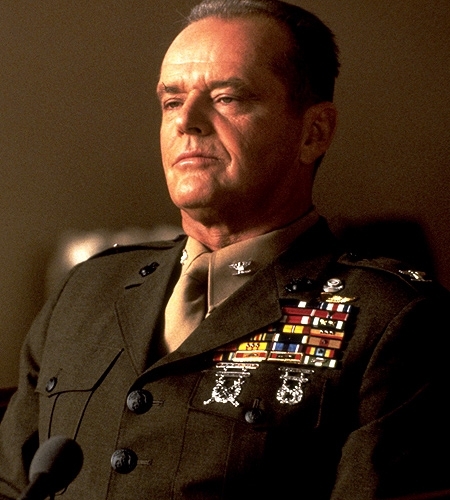 We all remember that moment when Jack Nicholson lost his cool while being questioned and blurted out the famous line, but what few know is that this film is based on a stage play of the same name, and the story packs a much bigger punch when you’re watching it live. 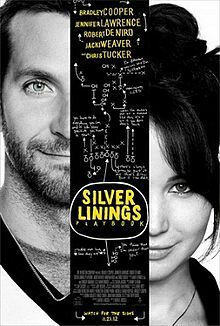 If you can find a showing that promises to be at least halfway decent, check it out. You wont be disappointed. Sure, this movie made huge strides in film making, and changed the way the motion picture industry worked, but when screenings of a film need an intermission, the film is just too long. I have a feeling my thoughts on the length of this film would have been met with a “Frankly, Robby, I don’t give a damn,” by one of the three directors. Imagine, a film so long it needed three directors! 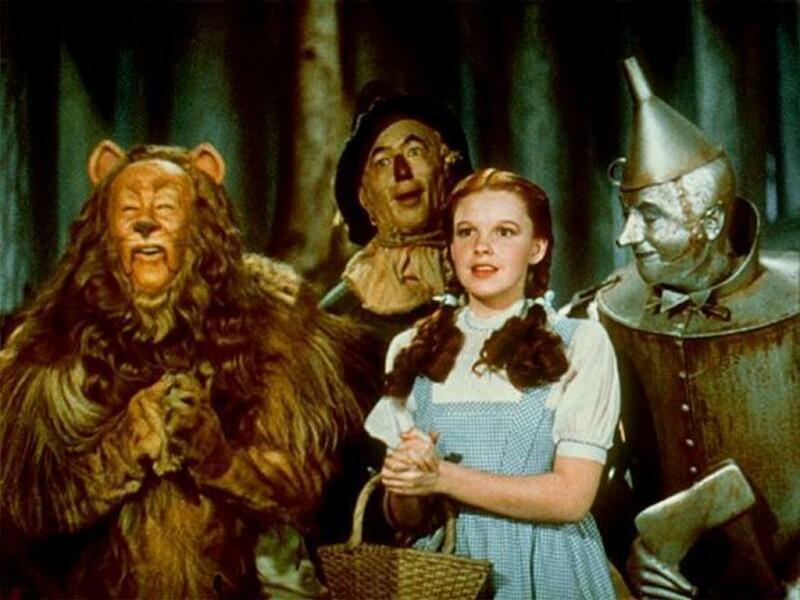 Dorothy’s adventure was probably one of my all-time favorite childhood movies, but I’d fast forward through the scary parts (and still do, actually), but there’s just something about her clicking her heels together and saying that famous line over and over again that brings comfort. Perhaps that’s why it’s stitched on pillows across the nation. 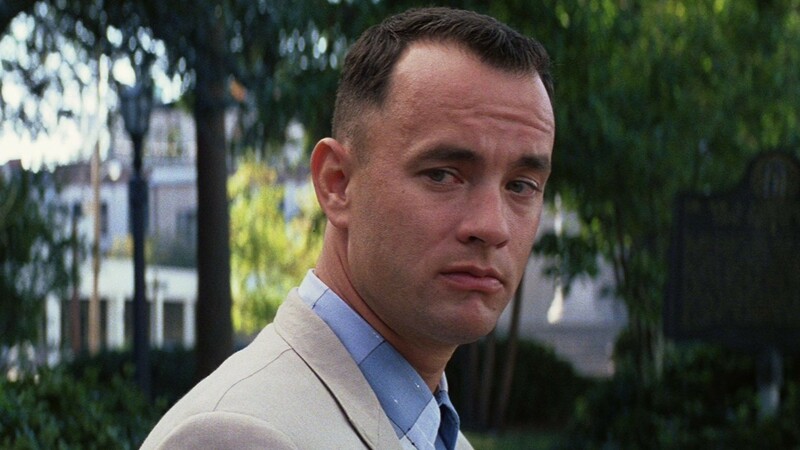 Who couldn’t fall in love with a character like Forrest Gump? He’s so naive and his loyalty to his mother, his state, his former girlfriend, and his son knows no bounds. Plus, he ran for a really long time, and that’s impressive. I watching this movie for the first time when I was about 10 years old. 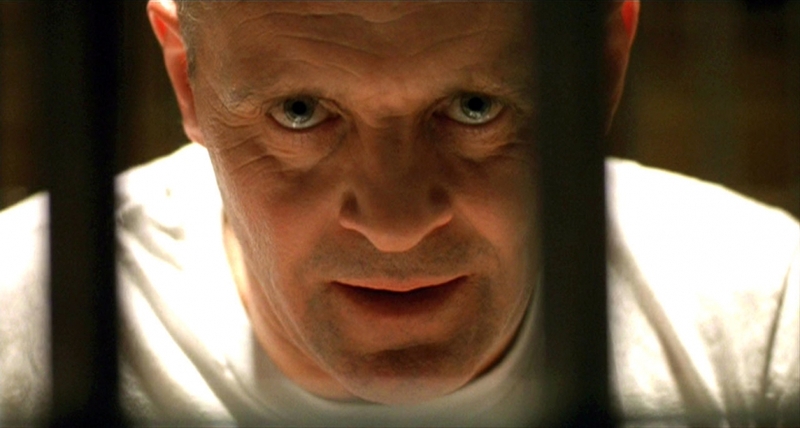 It was a lot to take in at that age, and I still fear lotion, but Anthony Hopkins scared the bejeezus out of me with his story of eating a man’s liver with fava beans. I still can’t eat them, but I do love me some Chianti! 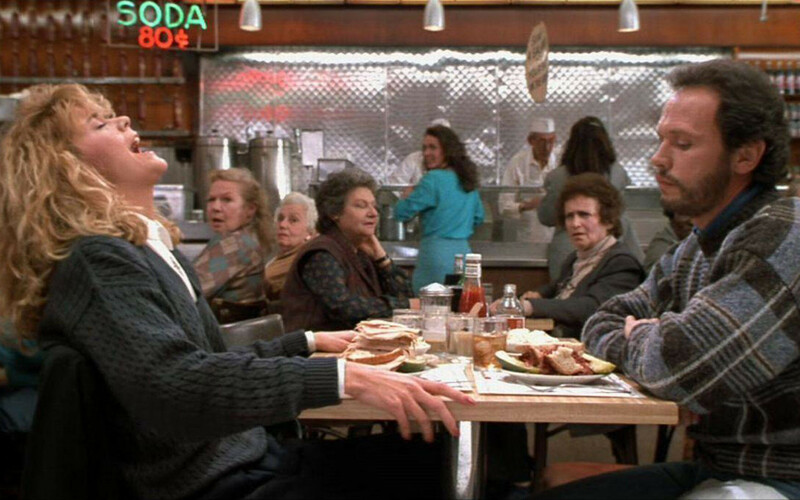 There is just something about Meg Ryan that made her the romantic comedy queen of the 90s and early 2000s, and when she sits at that table and acts out a “climax” there’s nothing funnier than the woman at the next table thinking she’s received those special “good feelings” from her lunch. 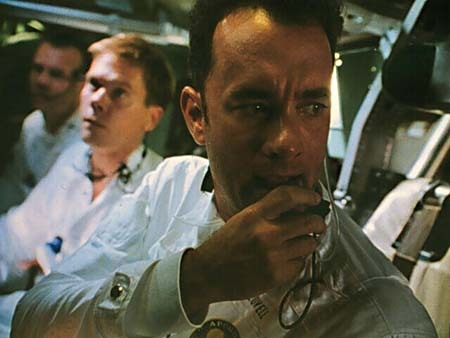 Tom Hanks (who appears on this list three times) is brilliant as Jim Lovell in Apollo 13, and I remember as a kid watching the movie and going to school the next day and saying that to my teachers and friends over and over again. Aside from that, this film takes a serious turn at this point, and it’s very clear in Hanks’ voice that the situation is in fact serious. Finally, my favorite quote of all time. It appears on the AFI Top 100 Movie Quotes as number 54, but it’s number 1 to me. 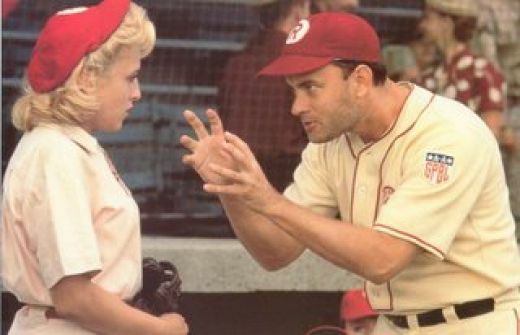 The movie as a whole is excellent, but what makes it my top quote is Tom Hanks and his performance as Jimmy Dugan, the rough, often drunk coach that eventually warms up to the female baseball team. With Mr. Tom Hanks appearing on this list three times, can you tell who one of my favorite actors happens to be? Originally written for Sona Creative Marketing by Robert Coles as a guest post. I don’t know about you, but I find myself constantly overloaded with content on the internet. Everyone is trying to sell something, there’s always a contest to enter, and someone is constantly trying to push a brand that you just don’t want to think about (like the Snuggie… Or is that just an American thing? ), yet we as inquiring humans always want to know more. With over 160 million blogs currently on the internet (only half of them are mine), and more and more being created each and every day, it’s difficult to weed through the quality content if you’re a reader. For a content marketer, this becomes a huge challenge, and it’s one that hasn’t entirely been solved yet. While we’re coming up with new way of marketing almost by the minute, the world hasn’t quite caught up to our brilliant minds. We’re constantly having to come up with new methods of blog creation, and new ways to make our titles interesting. Simply put, if it isn’t interesting in the first 10 words, no one is going to read it. Fortunately, we content marketers have the numbers on our side, regardless. 46% of internet users read blogs more than once per day, and when marketing for businesses, that can convert to real leads, and real sales. Companies that blog have 55% more visits to their website than companies that don’t. 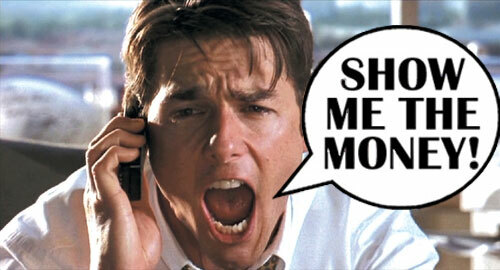 So what is the internet marketer to do? For starters, it’s about creating interesting content what will hold the reader’s attention. 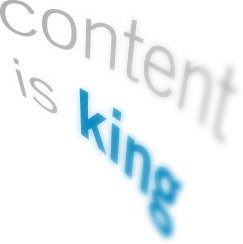 Check out these 5 ways to keep your content interesting and your audience begging for more. #1 – Your titles are boring. Spice it up a bit! If I read another “X Ways To Improve Your Business” article one more time, I’m going to throw my computer out my window and adopt a life without technology. Seriously, your titles matter. Consider coming up with something interesting. If you’re forced to write an article about ways to improve your business, think about what area you’ll be focusing on, and the spin it. If that article were to focus on ways to improve your business using social media, use a title like “X Ways Your Business is Failing (And How To Improve Them).” People are drawn to the negative, so use that to your advantage. By the way, I did a Google search for the best blog titles and all I got were search results like “How to Write a Captivating Blog Title.” I didn’t click it. #2 – Don’t forget mixed media. It can save your life. In a world where 72 hours of video are uploaded to YouTube every minute, there will always be a video to spice up your content. The fact is, people are attracted to what they can easily see and watch. They don’t necessarily love reading anymore (and that’s a shame) so it’s important to spell things out for them. The best way to do that is with a video. If there isn’t a video out there, make one. With apps like Vine making short videos are easy, and if you want, you can use a website like fiverr.com to have a video created for you with graphics based on your script. If videos aren’t your thing, no problem. Use infographics that drive your point home. You can also use screen captures if you’re referencing something you’ve found on the internet. For example, I wrote an article about social interaction, and included a screen capture of people interacting socially. It’s that simple. People just want to be able to see what they’re reading, rather than actually read what they’re reading. #3 – Talk as you. Not about you. People want to hear your voice rather than your life story. Sure, you should write with your own personal flare, and almost make fun of yourself (coming from the silly American), but people don’t want to hear about your life and what you ate for dinner. That’s what Facebook is for. Instead, consider telling about a product or service that you’re marketing in your own tone, but don’t insert personal stories about Aunt Cathy’s hip surgery. If you’re going to take a stance on something, stick to it, especially if you’re talking about a theory. People are going to site you and use your word as a source. If people end up linking to your blog, or your client’s blog, you are going to want to make sure that one blog post doesn’t contradict another. You’ve just made yourself or your client look ridiculous. When you’re blogging, its also very important that you use consistency in your grammar, punctuation, and style. You can change things up a bit, but not too much. Your readers are going to get accustomed to your style, and if you change things too much they’re going to rebel. You’d be surprised how many people actually do read your words. With over 160 million blogs on the internet, there are bound to be repeated views, but if you can find a way to present a unique point of view you’re going to captivate your readers. For some of my clients, I write the every day business blog because that’s what they want, but for others I have the freedom to experiment with humor and stylistic choices. Content marketing is still very young in the marketing world, but it’s growing quickly, and staying ahead of the curve with your writing will ensure that you ride the content wave smoothly to the finish line. Good luck! Perhaps I’m showing my youthful age in this article, but that’s okay. Jingles have been a part of the advertising world since around 1926, when General Mills broadcast its song “Have You Tried Wheaties?” on Christmas Eve. Since then, the world has seen jingles such as the song for McDonalds’ Big Mac, Coca-Cola’s “I’d Like To Buy The World A Coke,” and Mentos’ ever-popular “The Freshmaker”(which I remember mostly from Clueless). Jingles have become a staple for advertising, and people arespending up to $3.8 million for a 30-second commercial to display their latest jingle. Some fall flat on their face, much like “Chicken Tonight” from Ragu (the only thing it has going for it is that people are doing the chicken dance), and others are just plain awful like Sea-Bond’s attempt at humor (be warned… it will make you cringe). Kit Kat did something really special with its candy bar commercials. The company made it about the everyday nine-to-five worker, and what he or she would want during their break. Their commercials featured construction workers, cashiers, office receptionists, and the common man and woman, all wanting to enjoy a short time away from work; and a new catchphrase was born. “Give me a break, give me a break. Break me off a piece of that Kit Kat Bar” became a common saying around offices. This jingle was a creative masterpiece because it was the first to introduce a jingle sung entirely by an animal. Sure, it was probably some girl standing in a recording booth doing her best Cats impressions, but to us it was a cute kitten who just couldn’t wait to get her little paws on some Meow Mix. You had better believe people sang that song in their heads for hours after seeing the commercial, which made it a highly effective marketing strategy for the cat food company. Commercial found here. If you’re like me, you grew up wishing that Oscar Mayer WeinerMobile would drive down your street passing out hot dogs. Sadly, that never happened (until I became an adult, but that’s a different story for a different blog), but I was able to enjoy the famous Oscar Mayer commercials with that glorious “My bologna has a first name…” jingle. It was all the talk on the playground, and all the kids at the cafeteria lunch table sang the song if their mom or dad packed them a bologna and cheese sandwich, and the whole table would join in song. It was just like a scene from High School Musical…only not really. Song here. It was the battle cry of a generation: “I don’t want to grow up! I’m a Toys ‘R Us kid!” We literally lived for those Saturdays that hardly ever came. Mom and Dad would take us to the toy store, give us five dollars, and cut us loose. We’d test drive every bike through the aisles, even though we knew we weren’t going to get one, and we’d play with the balls in the big wire contraption that kept them all in. The store’s jingle was pure genius. It made us believe that, with the help of a Furby, we’d never grow up. ’90s flashback here. You know after that bass vocalist sang “barbeque sauce” you immediately wanted to head over to Chili’s for a slab of baby back ribs. It’s effective advertising. This catchy song (which closely resembles The Doors’ “Roadhouse Blues”) got stuck in the heads of millions. It was even named one of Ad Age Magazine’s “10 Songs Most Likely To Get Stuck In Your Head.” Earworm link here. “Wanta Fanta? Don’t you wanta Fanta?” After seeing these flashy, colorful commercials? Yes. Yes I do wanta Fanta. The “Fantanas” took the country by storm with their adventures bringing Fanta to those who needed it most around the world. The commercials made you want to jump right up and grab one. Also, they use a form of subliminal messaging in these commercials. The singers all nod their heads when they ask if you “Wanta Fanta?” They’re telling you that you do. There’s no other option. And it worked. Millions of Americans did in fact wanta Fanta. Do you wanta? If this commercial campaign taught us anything, it’s that if you chew Doublemint gum, you’ll fall in love with twins. Actually, the commercials were geared to a more sporty, athletic, and fun audience, and this showed in their commercials. They featured two sets of twins playing tennis and falling in love over their deep romance with chewing gum. Rekindle your crush here. What are some of your favorite (or least favorite) jingles of all time and why do they make your list?